Fiona Barton made a name for herself with her New York Times-bestselling debut, THE WIDOW (2016). This spring, Barton is back with a psychological thriller that proves that some things really do get better with time – and Barton's writing is one of them. Don't get me wrong, I did enjoy THE WIDOW, but I loved THE CHILD. Barton has crafted a character-driven suspense novel that packs an emotional punch, with a deeply satisfying final plot twist. Readers eager for an immersive, heartbreaking, and addictive story of love and loss will find an excellent summer read in THE CHILD. There is so much to love about this book, but I want to narrow it down. 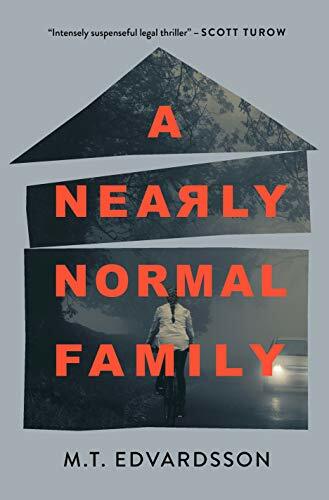 Lately I've reviewed a number of summer psychological thrillers, so I want to focus on what in particular makes this one stand out—and what kind of reader will really love this book. First things first: we already know that Fiona Barton can write a plot twist with the best of them—THE WIDOW proved that, and THE CHILD reinforces it. I pieced together the final reveal of this book alongside journalist Kate Waters, and I found myself quite literally frantically flipping pages to see if my theory was right. (It was, and I actually cried a little bit at the mystery's final reveal!) But this isn’t new information to Barton’s readers who have already been shocked by her plot twist in THE WIDOW. But THE CHILD proves something else, something new and even better in my book: Barton can write a thriller that will tug at your heart as much as it shocks you. THE CHILD has a very different tone than many of the psychological thrillers I've read recently. This book is paced quite differently from thrillers like THE LYING GAME and UNDERTOW, which beg to binge-read. THE CHILD has an admittedly slower start, and never reaches quite the same breakneck pacing as some of its 2017 peers. But that's not a flaw of the novel—it's a result of this book's unique focus. Instead of focusing on binge-worthy pacing, THE CHILD is very character-driven, putting its focus on the private lives of its characters. What secrets are these women hiding, and how are their emotional lives determined by past tragedies? And why is it that the discovery of this long-buried skeleton has thrown each of their lives into a tailspin? THE CHILD is ultimately a story of love and loss, and I was completely invested in the (often tragic) lives of the women upon whom this story is built. Barton’s writing will draw you in with a mystery that’s as much about solving a puzzle as it is about uncovering and mending the broken pieces of its characters’ lives. Yes, you'll be glued to this book's pages, but you'll perhaps most importantly be invested in its characters. As our main character Kate delves deeper into the mystery of the Building Site Baby, she becomes privy to the innermost secrets of three women who lived in the neighborhood at the time of the baby's death. This is where THE CHILD really shines. Barton has crafted a compelling and three-dimensional cast of characters, each with her own secrets and fears. These women are flawed, they're sometimes despicable, and they're totally engaging. In a crowded field, THE CHILD stands out for its emotionally-engaging cast of characters, and the personal tragedies and quiet suffering that these characters are marked by. The final twist of this book is definitely shocking, but I loved this twist most of all for how emotionally redemptive it was, tying together the story's biggest question in a completely unpredictable and moving way. Readers of Clare Mackintosh, Ruth Ware, and Gilly Macmillan will feel right at home in Fiona Barton’s compelling and immersive second novel. THE CHILD has the hallmark twisty plotting and immersive pacing of the psychological thrillers that continue to take the crime-writing world by storm, with a uniquely emotional twist all its own. I highly recommend THE CHILD for readers looking for a psychological suspense novel that will tug on your heartstrings as much as it will keep you up all night reading. Disclaimer: I am an employee of Penguin Random House. All opinions my own. If you live in the New York area, mark your calendars! Fiona Barton and I will be appearing at Barnes & Noble Eastchester on July 13, 2017, as part of Fiona's book tour for THE CHILD. I’d love to see you there!